Stress is neither right or wrong, it is a response. It is how our bodies and minds react to challenges. Just as perceptions and opinions shape narratives, they also shape our responses to stress. Managing stress begins with changing our perceptions of stress. With internal responses, it's sometimes best to let it take its course. From the view of Eastern philosophy to Western psychology, the opposite of depression is not happiness but rather resilience. The symbolism of breaking boards in martial arts to talk therapy in the clinical setting, the attempt is to give people the tools to overcome frustrations and daily obstacles — to condition them for the challenges of life. Psychologist Peter Kramer believes treatment shouldn't dull deep emotions and feelings. Treatment should build a protective emotional barrier for patients so they don't feel overwhelmed. In finance, stress management is risk management. Lack of resilience is being risk adverse. Whether it is known as risk or stress, the idea remains the same — fear of the unknown. However, stress is a loaded topic, so thinking about it the same way we think about risk can give us objective clarity. Risk management is not avoiding all risk, it is the optimal amount of risk for the most amount of gain. Avoidance of all risk only encourages risk; it risks us to poverty. Stress can kill us, but it also saves us. Stress hormones in excess can make us anxious and sick, but it can also lower inflammation and reward our brains. It can stunt growth; however it is the only path for growth. Like water, it may take us one way or the other, create a calm sea or a storm, but it is always moving. Without stress, there is no movement. Sailing a boat requires lots of practice. A good captain needs experience in all conditions, the more challenging the practice, the better the captain. Just as we would not trust a captain who's only sailed in calm waters, we want leaders who've been through adversity. Any biography of a person we admire is a story of tragedy channeled into purpose. Struggles create psychic energy, we can either direct it to something important or we can let it destroy us. Channel it to overcome obstacles. And if we don't, we won't. How does one get anywhere without overcoming? 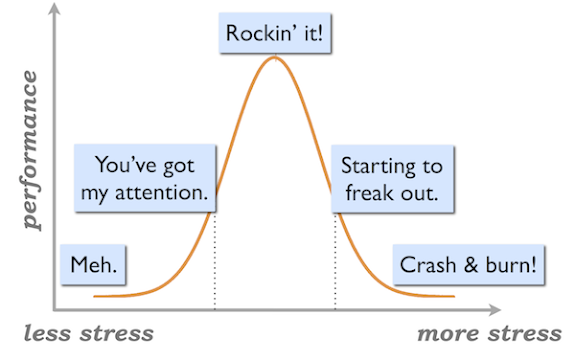 We want significant progress without moving, that is the paradox that keeps us trapped in the stress-suffering cycle. The story of America is the story of immigrant families absorbing substantial risk and making a home. When asked how they pushed through, their answer: because they had to. Ordinary people can lift cars, survive disasters, go from rags to riches, and overcome the odds when they have to. That's the power of stress. We often hate it; that's our perception of course, but we love the results. Meaningful things are born out of tough situations. When we remove all obstacles, stressors, and risks — we die. I don't mean this figuratively, I mean literally, we will die. Putting aside our emotional and intellectual health for a moment, but from the immune system, the heart, to our cells, they cannot survive without contact. Just as the muscles of astronauts in space atrophy when there is less duress from gravity. Astronauts are weightless, but they are never under zero gravity. Otherwise, their ship would not stay in orbit. Without gravity, we would lose the moon. Without gravity, we would leave our orbit around the sun. There always needs to be a pull, some pressure, some duress, some stress, or we perish. That is the truth we must accept. Without acceptance, there is no control. How do we mend a relationship unless we accept there is a relationship that needs mending? Our relationship with stress is plagued with these riddles when our relationship with stress is incoherent and inconsistent. Once you accept it, you can begin to control it. The fear of suffering deprives us of happiness. 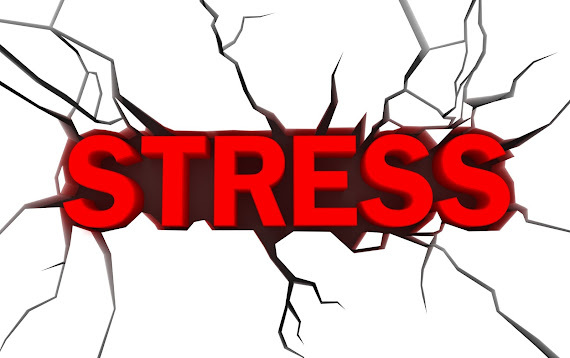 Stress engages us with life. Too much and we burn out. Too little arousal and we lose engagement. When we find that balance is when we perform to our capacity. Stress increases our capacity. Now that can break us but it can also mold us. University of New Hampshire professor, Paul Harvey, finds that the sheltering of oneself from reality has the opposite of the intended effect. Instead of protecting people from sadness, it creates "unrealistic expectations and a strong resistance toward accepting negative feedback" and "an inflated view of oneself." Reality never matches the expectations of the self. In running from criticism, we become our harshest critic. Our relationship with opinion and reality is noncohesive. Once we give ourselves permission to stress is when we stop being its prisoner. Stress makes us almost superhuman — so much so that it can be overwhelming. It can grow and grow but finding a purpose helps to release the excess. Purpose is not to be confused with passion. Purpose is a relationship with a greater group. Passion can often be self-serving while purpose is about service to others. The feeling of serving no purpose is called sadness. Selfishness is the bridge to sadness, it severs shared experiences. We often ask ourselves what our purpose is in the world yet look for happiness by doing things that only benefit ourselves. (Replacing purpose with passion.) That is the great irony, we are somehow aware of the problems, yet we mindlessly act against these interests. People who migrated, to start over and raise their families — they had a reason to be resilient. The previous generations who survived war, factory jobs, prejudice, and sexism — they had a reason to be resilient. They didn't do it only for themselves, they did it for their families, they did it for the generations after them. We need a reason to be resilient, we need people to be resilient for. When we don't eat, we perish. If we eat less and challenge our bodies to do more with less food, we are likely to live longer. Fasting triggers stem cell regeneration. Our immune system reacts to stress by getting stronger. That is the nature of vaccines, they give us inert disease so we can become resilient to it. Decedents of the Black Plague survivors live longer, and a certain percentage of them are immune to AIDS. Arthritis and back pain are triggered when we move, but the symptoms improve the more we move. Avoiding social situations increases social isolation but the exposure to social situations is the common treatment for shyness. Poison can kill us, but in small doses, it can extend our life. This phenomenon is called hormesis. Inversely, excessive hygiene, over-sanitizing the human experience, lowers life expectancy and increases the chances of illness. Avoiding bacteria also wards off friendly bacteria our bodies need to stay healthy. The soul of balance is about equals. The yin-yang has been corrupted by Western dualism and moralism. In yin-yang, there is only hot and cold, push and pull, small and big, east or west. Good or bad is the opposite of yin-yang, as it is a justification that one path is clearly better than the other, it is absolutism. Yin-yang is actually one compound word, not two separate ideas. Consider for a moment our senses during a meal. We can smell food or taste food. We can smell it and then taste it. But this is not to be mistaken for smell-taste, the combined experience of being able to taste something from the smell, and smell something from the taste, and blending them together to enhance the experience of eating. It is all connected. This is yin-yang, one informs the other. Call it holism, realism, science — or the Way. When we see through a peephole, we only see doorknobs and miss the doors they are attached to. And if we see the door, we lose the doorknob. Door or handle, good or bad — the modern Catch-22 paradox. Yet there is no "or" in the Way, it is always both. Good or bad is not a study of opposites, it is a study of illusory superiority. Imagine thinking of the Sun and the Moon in terms of good or bad. It is the improper way to think about them as there is no good or bad, it just is. If we did try to see the Sun and the Moon in the good or bad duality, then perhaps we would see the Sun as good, and the moon as a burned out desolate version of the Sun. Comparing a human to an animal, that is yin-yang. Comparing a human to an evil human, that is the Western binary co-opting of yin-yang. The evil person is not an opposite, it is twisted sameness. It is not apples and oranges, it is apples or rotten apples — moral vs. corrupt. Using morality in the matters of intent can make sense, when using it for things that should have no morality is when it is harmful. "I ate this cake, I am a bad person. I didn't eat cake, I am a good person." This is completely unreasonable yet this is completely acceptable thinking. Stress is bad, no-stress is good — is just as harmful to our well-being. Being half right and half wrong is not the Way, for there is no right. The Way is a holistic view that there may be many perceptions of truth. Moralism gives clear rules that one is right, one is wrong, and to only do what's right. Then there is no decision to make, no guidance needed. It is rigid, conformist, and extreme — no flow and no Way to be balanced. This is the notion that there is only one correct path, this is determinism, predestination, and authoritarianism. A simple way to control a group, but offers little help for the individual and the particular instances of their life. Yin-yang is a symbol that there are no right or wrong or absolutes — not the right way or the wrong way — only the Way. My brain was spinning, my mind moving so fast, thoughts whirring — and I used this alertness. I read and studied, I used my sleeplessness to write and define what I wanted to do with my life. What grew out of that was a health and fitness business that has helped thousands of people. My life has somehow become more positive than it was prior to that tragedy. I am inspired when I speak and write. It was my choice, how I perceived this stress. It was traumatic, but it was also growth. This is not to say the ends justify the means, but how awful would it have been if the residue of my sister's life were only that of pain? We believe we must suffer because suffering is heroic. Yet it was never suffering that was heroic, someone putting a cause above themselves, that was heroic. For this, the hero often suffered, but suffering for no cause other than to suffer is irrational. It is mistaking the effect for the cause. Psychologists call this sublimation, transferring impulses and reactions into something more positive and productive. We recognize this as maturity, and it should never stop because circumstances will never stop changing. For some family members, they never channeled this energy. They tried to suppress it. Why wouldn't they if they considered it a devil meant to be hidden in the basement? We can create strength or fragility, but there is no coming out of this the same as we entered. Since then I've lost other family members. I started this article while my father was in the hospital. I am finishing this from the hospital where my mother is hospitalized. I wrote this while most of the world was sleeping. I didn't stay up to write it — I wasn't going to sleep regardless — I wrote rather than stare deeply into the abyss. I think about loved ones daily and it keeps me driven. It's no longer sad, just... defining. Every negative and stressful event is the psychic energy for what I do next — because some days I have no energy — yet this keeps me going. That's stress and it can be a good thing. The very act of changing our perspective of stress, from an undesirable thing to a neutral or even positive thing can allow us to learn from our experiences and move on with our lives. The right dosage of stress can create positive growth. The removal of all stress can be just as deadly as being immersed in it. When we reduce the dosage of one thing, we unwittingly increase another. The most dangerous thing of all isn't stress, it's the lack of balance.